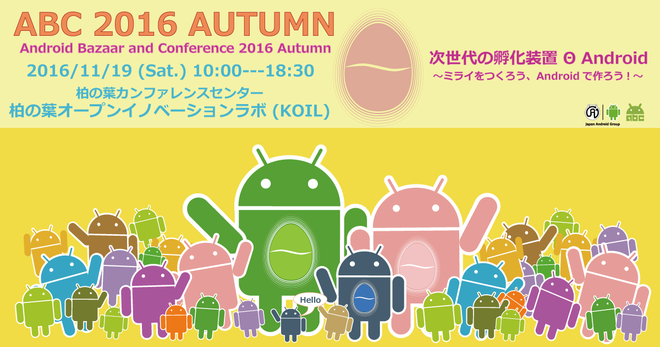 Android Bazaar and Conference 2016 Autumn (ABC2016A)を開催します! 嶋＠てんてん published Android Bazaar and Conference 2016 Autumn. I joined Android Bazaar and Conference 2016 Autumn!